Digital transformation pressures are increasing, and the sense of urgency has never been greater. Companies are investing millions in transforming their business models, processes, and cultures to move business into real-time. In business offices across the world, corporate leaders have been jolted into a panic at the rise of the “platform economy,” where companies use data analytics, real-time processes, and flexible technology infrastructures to deepen customer knowledge, anticipate change, and innovate products swiftly. Amazon’s platform has enabled it to capture 100M devoted Prime users; support companies globally with AWS offerings; and challenge companies in industries as varied as appliances, entertainment, publishing, logistics, retail, and more. Digital Dilemma #1: Data Visibility – You can measure almost everything with business, except when you’ll get paid. Digital Dilemma #2: Control – Cashflow is king for financial health, yet you lack the tools to optimize it. Digital Dilemma #3: Digitization – Your customers’ digital initiatives with accounts payable are making your company’s accounts receivable processes more manual. Digital Dilemma #4: Risk – You measure customer risk upfront, but it changes constantly. Digital Dilemma #5: Legacy applications – Your company’s ERP systems offer invoicing, should you customize, configure, or connect? Explore the “digital dilemmas” Fortune 100 companies are experiencing as they seek to transform accounts receivable for the digital marketplace. Get the infographic now. It’s not hard to see how these trends could create a perfect storm of problems. Your company is moving faster than ever, taking risks on new business models, partnerships, and innovation initiatives. However, your backend processes are lagging. Being able to engage digitally with your customers, from onboarding them with digital contracts and purchase orders, to offering them digital invoicing and payments, to managing credit and collections easily is part of the value proposition you offer in the marketplace. Fortunately, there’s an easy way forward that solves all your digital dilemmas, and companies operating in Europe and Latin America have already made the move. 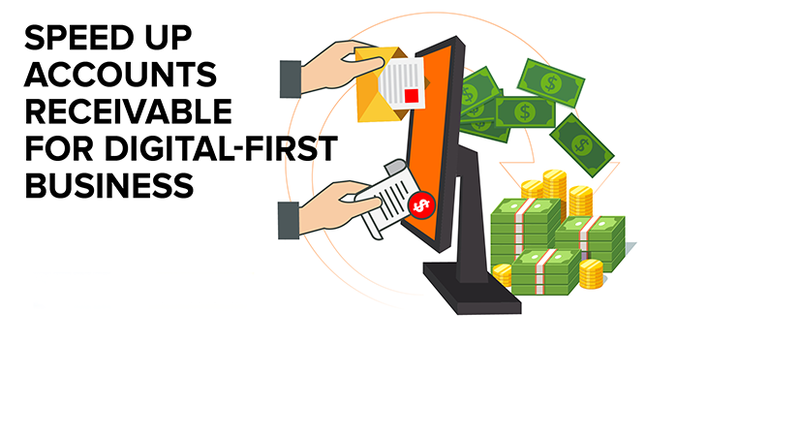 You can move faster and have better cash flow with a SaaS-based Order2Cash solution that provides a complete digital order-to-cash process, connects with your ERP via API, and gets you online in just 1-3 months. Want to learn more?